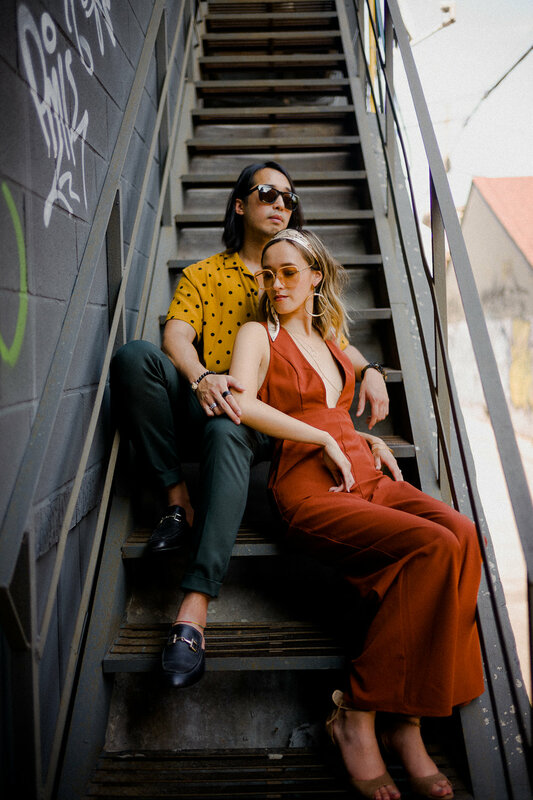 This is a unique vintage engagement session inspired by the couple’s love for the 70’s style. She’s a teacher by day and he’s a graphic designer. She spends her free time on painting and he plays the bass in a Toronto indie band. Mel and Hiu are a couple who dare to dream. It’s not so much that they try to be different but they’re honest with who they are and are attracted to each other’s uniqueness. When we first sit down to discuss some engagement photo ideas, the couple have something quite different than a vintage styled engagement session in mind. 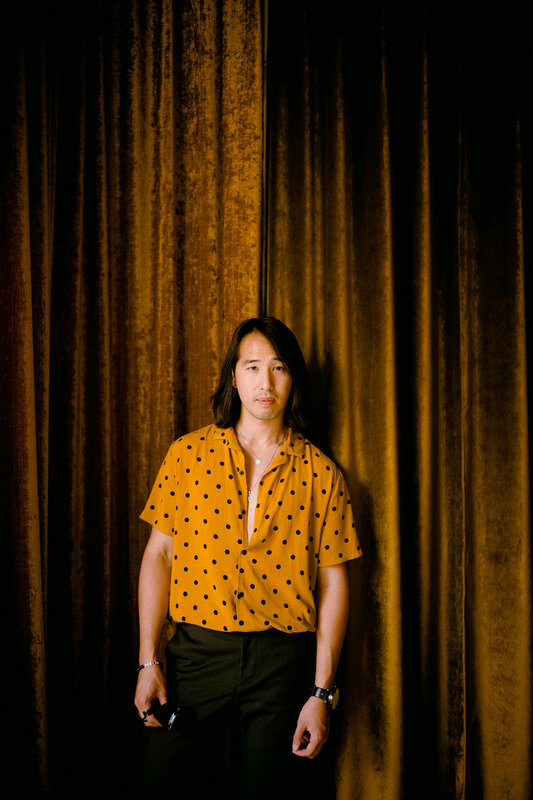 But as we chat more about their 70’s inspired vintage wedding, the more the couple is intrigued by the idea of having an engagement session that’d be a prequel of their themed wedding. The 70’s is a peaceful era that celebrates free spirits, over-the-top fashion and evolutionary music. It’s no coincidence that these are just a few things which Mel and Hiu hold very dear to their hearts. 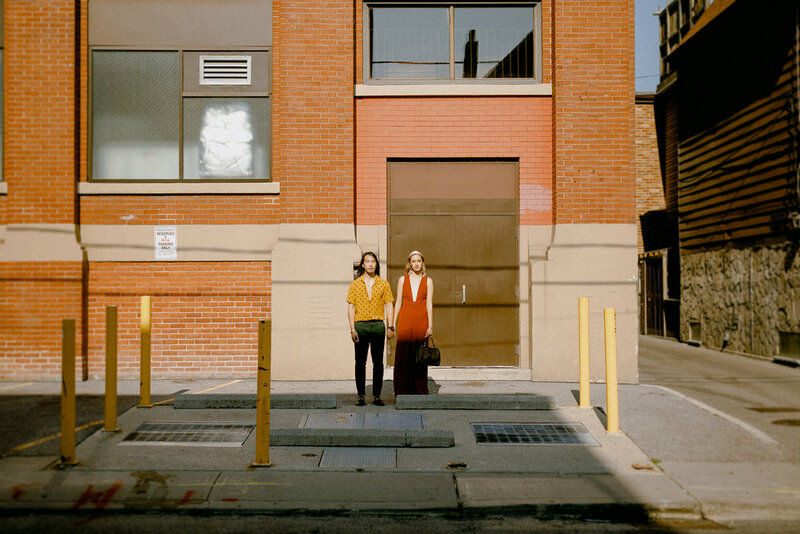 We wish these unique engagement photos will remind you of the glorious 70’s and inspire you to throw a wedding that’s uniquely you! Special thanks to Mr.s Robinson for letting us shot in their cool restaurant.